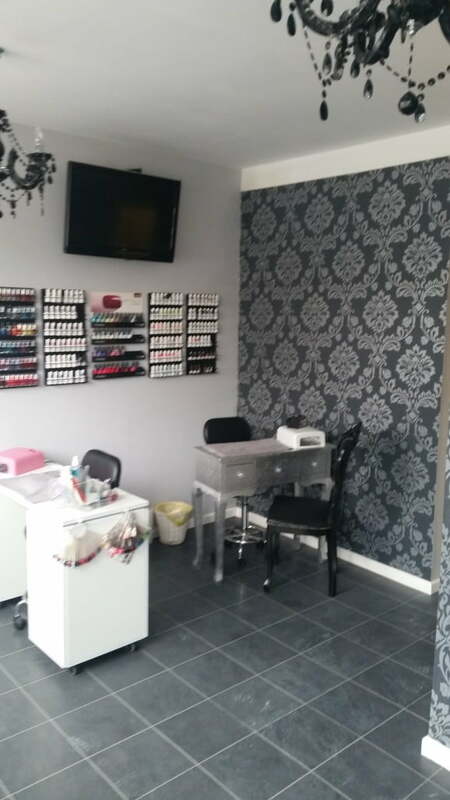 Delishas beauty salon fed up with the old decided to have a complete redecoration hoping to breathe some life into the shop. The colour scheme for the front of shop consisted of grey with silver and black wallpaper which brought a touch of glamour and sophistication to the customer upon arriving. 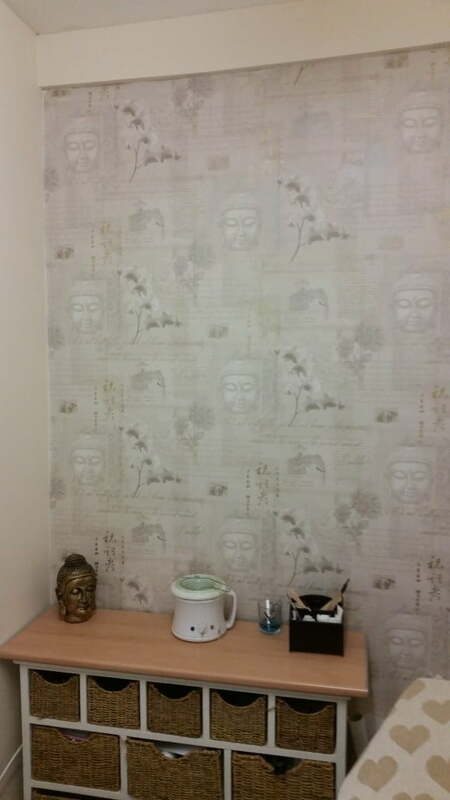 For the beauty room the choice of colour was a cream with a Buddhist themed wallpaper making for a relaxed atmosphere that you can enjoy while being pampered. With just two days to complete the project time was short but we were up to the task and completed it with time to spare ready for the re-opening.